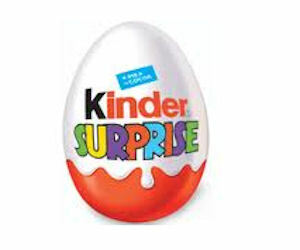 Like the Kinder Canada Facebook page - they will be giving away 5,000 free Kinder Surprise Eggs! Click the "free kinder surprise egg coupon" tab for more info. No date or time is given, so keep an eye for when this offer goes live.